Take a look at any of Sebastián Lelio’s recent films and one thing becomes abundantly clear – the Chilean director has a particular knack for telling thoughtful stories, anchored by complex, compelling, assertive women. Perhaps best-known for his Academy Award-winning A Fantastic Woman (Una Mujer Fantástica) – which sees Marina Vidal fight for an acknowledgement of her humanity and her grief after the death of her long-time lover Orlando – his latest feature pushes that sensibility a step further. 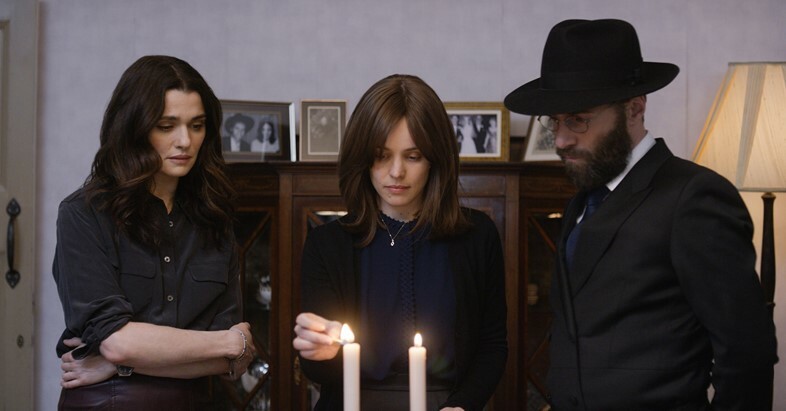 Disobedience, based on the best-selling novel of the same name by Naomi Alderman, follows Ronit (Rachel Weisz) as she returns home to the Orthodox Jewish community where she grew up, in preparation for her father’s funeral. There, she reconnects with old childhood friends, Dovid (Alessandro Nivola) and Esti (Rachel McAdams), reigniting a relationship that pushes the boundaries of faith and sexuality. With its focus on these three friends, their history, how they challenge one another, and in the process, themselves, Lelio elevates the story to what he defines as “a Baroque piece where you have three narrative lines which are mixing all the time”. Disobedience is in cinemas nationwide from November 30, 2018.